GoPro's CEO announced the new GoPro3, a whole new camera, with an updated and slimmed down look with twice as much power! All in all it looks pretty exciting for the miniature package, and the footage coming from it appears very crisp. Follow the link for breakdown of a few features. Here's a quick look at what it has to offer. Wearable and mountable camera with ultra-sharp f/2.8 6-element aspherical glass lens supports immersive, wide angle capture of your favourite activities. It is not released yet, but some places are taking pre-orders early. 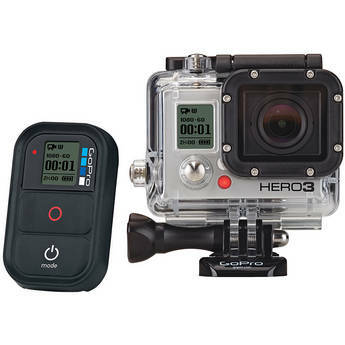 I was thinking I may like to have a second GoPro for this winter, and why not get a new one? We'll see what happens, I'll be sure to keep it updated somewhere around here if anything transpires.